The bail bond process isn't exactly a harrowing experience. The actual occurrence of events necessary for bail to be posted is relatively straight forward, but it is important to understand what they are so that you're fully aware of what is happening when you attempt to post bail. If you have any questions about the bail bond process the team of agents at Rob Brown Bail Bonds will be happy to answer them. For more than a decade we've been helping people achieve freedom via bail bonds in Lakeport, Ukiah, Colusa, Yuba City, Marysville and other California communities in the area. Give our team a call today to learn more about the California bail bond process. Before the bail process can ever begin there first must be an arrest. Once a person is arrested they will be taken to the local county or city jail for processing. They will then go through arraignment, which usually happens in one of two ways. Arraignment is when a person hears the charges against them and learns what their bail will be set at. In some cases a person may actually stand before a judge to hear this or their bail may be set according to a bail schedule. This means that a standard amount will be set for their bail, depending on the charges against them. Once a person has been booked and arraigned they can be bailed out of jail, assuming they are eligible. A judge may prevent a person from being released on bail if they are believed to be a threat to the public. In order to issue a bond you'll want to get in touch with our team in order to ensure that the paperwork is quickly filled out. You'll need to pay the bond premium, which is often about 10 percent of the complete bail amount. Once this is paid the bond can be filed with the necessary authorities. Once a person is released it is necessary that they appear at each and every one of their scheduled court dates until the case is resolved or dropped to ensure a warrant for their arrest isn't issued. If they miss court it is considered skipping bail, which is an additional offense. Once they are caught they will likely not be eligible for bail again. To learn more about the bail bond process in Yuba City contact Rob Brown Bail Bonds. Our team of agents is dedicated to securing the release of your friend, relative or other loved one in the quickest manner possible. 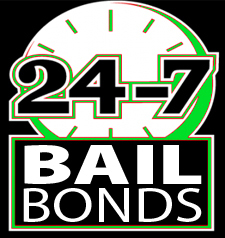 Give us a call at (707) 587-4563 to file a bail bond in Lake County, California or elsewhere in the area.